Combines acupressure, assisted yoga postures, and ayurveda. Thai massage is often described as “lazy yoga.” It uses quite similar techniques as Swedish massage, but Thai massage also stimulates the acupressure points in relation to the concept of energy lines in order to provide relief, to stretch and loosen tightened muscles, to release tension and relieve joints. Thai massage leaves you feeling relaxed and energised. In addition, Thai massage uses the technique of blocking and releasing the blood flow by applying sustained pressure for around 30 seconds to the areas where legs and arms meet the torso. This is a real circulation booster. When the pressure is released, you suddenly feel a rush of heat as blood floods back along your limbs. Ideal for a reviving stretch. Ideal for chronic pain and discomfort. Thai massage is a traditional healing system thought to have been developed by Thai Buddhist monks over 2000 years ago. It is a clothed massage and uses passive stretching techniques without the aid of oils or lotion. What are the different Thai massage techniques? Your Thai massage therapist will use a combination of compressions, pulling, stretching and rocking to manipulate the muscles. Thai massage draws from some yoga techniques to challenge and strengthen the muscles. What should I look for in a Thai massage therapist? Your Thai massage therapist will be trained, qualified and highly knowledgable in their area. 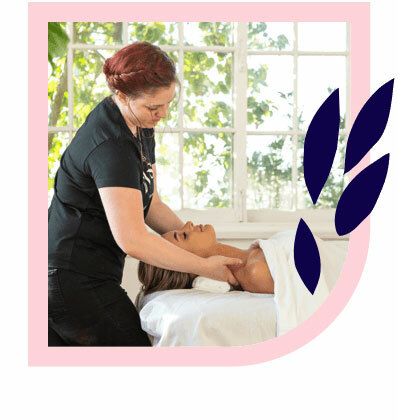 All Thai massage therapists that partner with Blys has – at minimum – a Certificate III qualification, so rest assured that you will be treated by a professional. Your Thai massage therapist should make you feel comfortable, which is easy to do when you receive an in-home Thai massage. Who would benefit from a Thai massage? A Thai massage is suited to people who enjoy strong massage and intensive therapy. It is an excellent massage choice if you’re looking to challenge your muscles to improve flexibility and mobility. It is also a preferred style by those who enjoy yoga and other sports. Who should not get a Thai massage? Thai massage is not recommended for people with adverse health conditions, including cancer, blood clots or cardiovascular disease. It also not recommended for pregnant women or anyone who has recently undergone surgery. Can I get a Thai massage near me? You sure can! 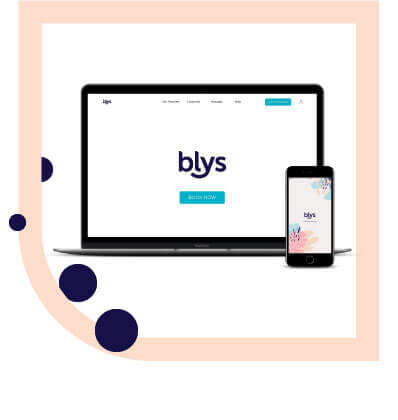 To book your next Thai massage at home, head to the Blys website or download the app and have a professional therapist delivered directly to you. Blys serves across Australia, including the major cities of Sydney, Melbourne, Brisbane, Canberra, Adelaide and Perth. Are there any side effects of Thai massage? As Thai massage can be an intensive physical therapy, discomfort, bruising or soreness may be present after your massage. This is completely normal. These side effects normally lessen within 48 hours, after which time you’ll enjoy feeling more mobile. Ensure that you are well hydrated prior to your home Thai massage. Continue to drink water after your Thai massage. Wear free-flowing clothing that does not restrict movement. We recommend eating something light no less than two hours before your massage to reduce any pressure during digestion. What can I expect from a Thai massage? You should expect your body to be challenged during a Thai massage. There is much pulling, stretching and pressure involved as your Thai massage therapists manipulates the muscles and circulation. Thai massage can be relaxing and decreases the body’s stress levels, however it is not a gentle therapy. How shall I feel after my Thai massage? You should expect to come away from your home Thai massage feeling relaxed, more mobile and limber. Thai massage is designed to stretch the whole body and improve your overall physical performance. You may experience some discomfort in the effected muscles, but this is normal. What are the potential benefits of Thai massage? Thai massage can promote flexibility, increase mobility, reduce stiffness and tension in the body, and leave you feeling limber. Thai massage can potentially assist in alleviating headaches and migraines. As with all massages, Thai massage relaxes the mind and improves general feelings of wellbeing and productivity. Do Thai deep tissue massages hurt? Deep tissue implies deep pressure. A Thai deep tissue massage combines the stretching and pulling elements of Thai massage with the strong pressure of a deep tissue massage. This style of massage is designed as a physical therapy and as a result, is meant to challenge the muscles. There should always be an open line of communication between the client and therapist to ensure that adequate pressure is being applied without resulting in injury.